2017-2019 CADILLAC XT5. MINI SPARE DONUT NOT A FULL SIZE SPARE. 2010-2016 CADILLAC SRX. LET US KNOW IF YOU NEED MORE THAN ONE SPARE OR JACK KIT WE WILL DO ANYTHING THAT WE CAN DO TO GET AS MANY AS YOU NEED. 2007-2009 Cadillac SRX. 2006-2011 Cadillac DTS. 2010-2011 Cadillac STS. 2008-2014 Cadillac Escalade. 2007 Cadillace Escalade (snap-in style). 2008-2014 Cadillac CTS. OEM Part & High Quality. 1xTire Pressure Sensor. (Rim in nice condition with no cracks or bends. Take a look pic 3 and 4) Will send the first best and so forth until gone. I have 4 available. Condition: New Replcement, OEM Quality Quantity: 1 Piece Fitment: CADILLAC 2007-2014 ESCALADE 2007-2014 ESCALADE ESV 2007-2013 ESCALADE EXT Hollander: 560-05358 Rim Material: Aluminum Surface Finish: Chrome Brand Velospinner Manufacturer Part Number 9597224 Interchange Part Number 560-05358, 5358 Rim Diameter 22 Rim Width 9 Offset 31 Number of Bolts 6 Bolt Pattern 139.7mm Hub Bore 78.1. Buy it now. A single 22" OEM Cadillac Escalade wheel rim. Touched up. Includes center cap and inserts. All other trademarks are the property of their respective owners. We do not own any rights on them. YEAR MAKE & MODEL OF CAR. We strongly ask that you call us to ensure we can solve your problem. FINANCING INFORMATION. How can we make such a claim?. Here's how: The original wheel from Cadillac is made strictly to a (limited) price point. GM has had it's financial challenges these past few years and have been squeezing value (and quality) whereever possible, including your original OEM Cadillac Escalade 22" wheels. Condition: New Replica,OEM Quality Quantity: 1 Set (4 Pieces) Fitment: CADILLAC 2015-2017 ESCALADE 2015-2017 ESCALADE ESV Hollander: 560-04738 Rim Material: Aluminum Surface Finish: Machined After market center cap: 1 Set (4 Pieces) included Manufacturer Part Number 22939271 Brand VELOSPINNER Number of Bolts 6 Bolt Pattern 139.7mm Hub Bore 78.1 Interchange Part Number 560-04738,4738. COMPLETE JACK ASSEMBLY W/ ALL TOOLS! Wheel Bolt Pattern: 5x4.75’’ or 5x120.65mm. Vehicle Bolt Pattern: 5x4.75’’ or 5x120.65mm. 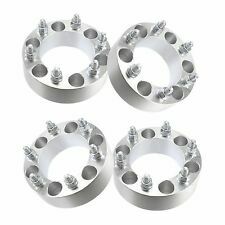 High Performance Aluminum Wheel Spacers. 1982-2004 S10 (does not fit front hub of 2-wheel drive). 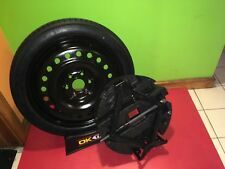 1982-2002 Camaro (May not fit on front hub due to hub height issue. ). 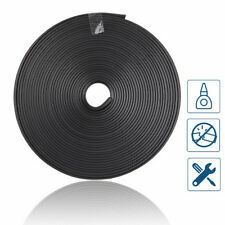 8M Black Wheel Hub Rim Edge Protector Cool Decal Sticker Trim Decoration Strip. Cadillac wheel weights NOS CAX Eldorado De Ville Lincoln Thorough 9 pc. lot . Just what you need for the unique full wheel design of many classic Cadillacs and other vehicles. UNIVERSAL TO FIT 6X5.5, 6X139.7, 6 LUG BOLT PA TTERNS! Complete Wheel Spacer Kit. Easily spaces out wheels to add break caliper clearance, or just get that flush look that you are oh so close to achieving. Quantity: Four Rims. Tires not included. What is PVD. PVD Process. PVD Warranty. The wheels must also be in a finish such as, painted, polished, or machined. All wheels are subject to inspection upon arrival to our facility. 4 19x9.5 19x10 Cadillac CTS V black wheels. original genuine OE GM forged aluminum wheels. 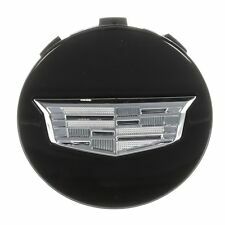 Condition: New Replacement, OEM Quality Quantity: 1 Piece Fitment: CADILLAC 2007-2014 ESCALADE 2007-2014 ESCALADE ESV 2007-2014 ESCALADE EXT Hollander: 560-05309 Material: Aluminum Surface Finish: Chrome Brand VELOSPINNER Manufacturer Part Number 9598755 UPC NA Number of Bolts 6 Bolt Pattern 139.7mm Hub Bore 78.1 Interchange Part Number 560-05309,5309. Genuine OEM Factory Center Caps! Advanced Aluminium Surface Machined. 1979-1991 GMC Jimmy. 1980-1989 GMC K1500. 2003-2005 GMC Safari. 2003-2012 GMC Savana 1500. 1996-2017 GMC Savana 2500. 1999-2006 GMC Sierra 1500. 1994-2006 GMC Yukon. 2005-2017 Honda Odyssey (exclude 2008 &2015). Wheels Specifications 4Pcs Silver Wheels Rims. The finish on this wheel is achieved through several different phases. The finishing process begins with a silver powder coat applied to the wheel. 2002-2006 Chevrolet Avalanche 1500. 2007-2014 Toyota FJ Cruiser. 1999-2007 Chevrolet Silverado 1500. 1995-2006 Chevrolet Suburban 1500. 2003-2012 GMC Savana 1500. 1990-1998 Toyota Land Cruiser. 1999-2006 GMC Sierra 1500. Wheels Specifications 4Pcs Silver Wheels Rims. The finish on this wheel is achieved through several different phases. The finishing process begins with a silver powder coat applied to the wheel. This wheel has a very professional appearance. Rear : 20x12. Front : 20x9. Matte Graphite. Lip size will vary depending on the size of the wheel and car. Available custom color combinations (optional). Not Included. LUGS and LOCKS. 4 pcs (1 set). 2017-2018 CADILLAC XT5. MINI SPARE DONUT NOT A FULL SIZE SPARE. 2010-2016 CADILLAC SRX. LET US KNOW IF YOU NEED MORE THAN ONE SPARE OR JACK KIT WE WILL DO ANYTHING THAT WE CAN DO TO GET AS MANY AS YOU NEED. May have scratches and scuffs. Also spots of missing paint and surface rust from normal use and age. The jack has been tested and works great. The rods are straight. Lug wrench socket is 7/8". This jack and tool kit are for the model years that use a bottle jack. Also minor spots of missing paint and surface rust from normal use and age. Jack and wheel chocks only. The jack has been tested and works great. 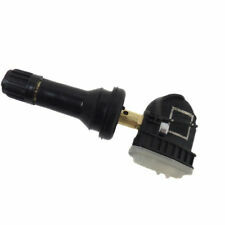 This jack will work for 2wd 4x4 1500 Silverado, Suburban, Tahoe, Sierra, Yukon, Denali, Escalade, Avalanche. What is PVD. PVD Process. PVD Warranty. The wheels must also be in a finish such as, painted, polished, or machined. All wheels are subject to inspection upon arrival to our facility. WE STAND BEHIND OUR PRODUCTS 100% - CALL US WITH ANY CONCERNS. Trending at $136.42eBay determines this price through a machine learned model of the product's sale prices within the last 90 days. These Cadillac Escalade wheels have 6 lug holes and a bolt pattern of 140mm. The offset of these rims is 31mm. 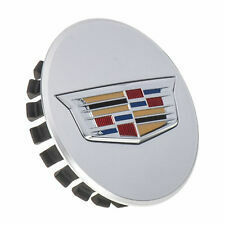 The corresponding OEM part number for these rims is Cadillac part number(s): 9593885. These Cadillac Escalade wheels are Factory OEM wheels. 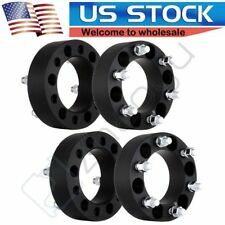 2 Hub CentricWheel Spacers 2.5" Thick 6x5.5 to 6x5.5 Lug 14mm x 1.5 Studs. 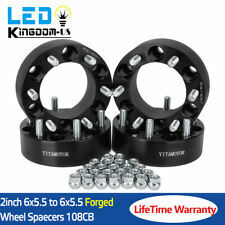 These are machined to fit around your factory Chevy hub and factory wheel. These are not a generic one size fits all product. The wheels must also be in a finish such as, painted, polished, or machined. All wheels are subject to inspection upon arrival to our facility. FACTORY (OEM) WHEELS. WE STAND BEHIND OUR PRODUCTS 100% - CALL US WITH ANY CONCERNS. Genuine OEM Factory CHROME Insert! SET (4) 20x8 CADILLAC XT5 BLACK WHEELS. FACTORY OEM SET OF WHEELS. FACTORY ORIGINAL (OEM) WHEELS. IN MANY CASES WE WILL ACCEPT DIFFERENT WHEELS, SEND US A PICTURE OF WHAT YOU WANT TO. FITS: 2017-2019 ALL XTS MODELS. Fits: Cadillac CTS 2014-2017. WILL NOT FIT: "V" models or 2014 CTS Coupe. 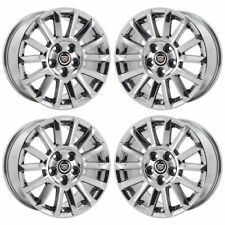 Set of 4 CA15 Replica Wheels for Cadillac CTS. The first layer of plating is copper which adheres to the wheel and creates a smooth foundation. This Cadillac XTS wheel has 5 lug holes and a bolt pattern of 120mm. The corresponding OEM part number for this rim is Cadillac part number(s): 22785490; 22887105. This Cadillac XTS wheel is a Factory OEM wheel.